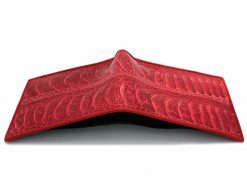 We’re drooling over this custom, luxury ostrich leather wallet for men. 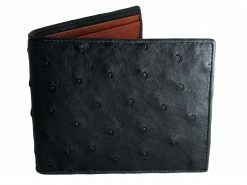 Classic and timeless describe this forest green ostrich wallet with it’s ostrich interior and trim. Popular with the top fashion houses for years due to its warmth, softness and high durability, ostrich leather is usually extremely expensive. We’re turning that notion on its head, get a hold of one of these highly sought after luxury wallets without the high price tag. Go green with this stylish twist on a time tested favorite, perfect unisex wallet for anyone who wants a touch of luxury. 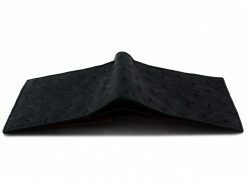 Just received my Green Ostrich Leather wallet and I am very impressed with the feel, look, and quality. Super fast and excellent service as usual from Real Men’s wallets. 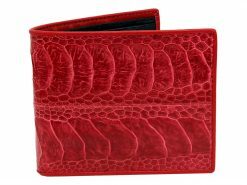 I have other wallets from Real Men’s wallets,, Croc, Shark, Stingray. My first Ostrich and definitely NOT my last. Thanks Xavier and Real Men’s wallets! Best wallets on the internet and beyond.